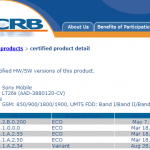 A few days ago, Jelly Bean 6.2.B.0.203 firmware was leaked for Xperia Ion LT28i yet not certified, but just now Xperia Ion LT28h HSPA Jelly Bean 6.2.B.0.204 firmware has been certified officially by PTCRB. 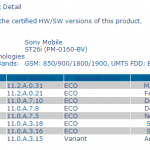 It seems Sony has finally put up final jelly bean version for Xperia Ion for release, it could be a week more till we see Sony officially rolling out the Jelly Bean 6.2.B.0.204 firmware for Xperia Ion. 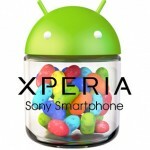 If any Xperia Ion LT28i user is interested in installing the leaked Jelly Bean 6.2.B.0.203 firmware on his phone, check out our guide on it. 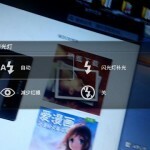 How to Install leaked Jelly Bean 6.2.B.0.203 firmware on Xperia Ion LT28i manually by flashing ftf file ? 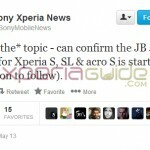 Any News for Xperia Ion LT28i JB ? Can I download this firmware(6.2.B.0.204) as .ftf file for flash it on my phone through the Flashtool program? 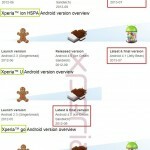 6.2.B.0.204 firmware for JB was never rolled out neither leaked. Only JB .211 is certified which will not be rolled out. 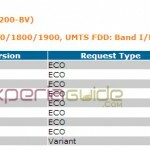 I think that firmware(.203) for the Xperia ion LT28i, can I flash it on my Xperia ion LT28h?! 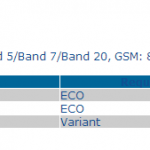 I meant there are two types of the Xperia ion (LT28i & LT28h), So my question is: Is that firmware for the two types or just for the LT28i type? 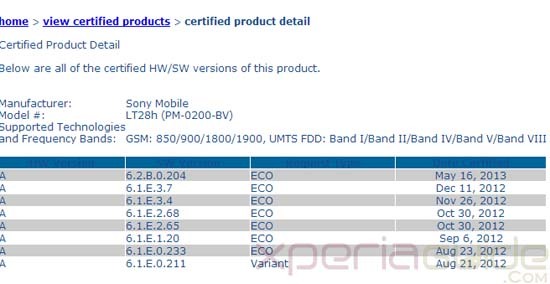 Firmware was leaked for xperia ion lt28i and if you flash on lt28h then your phone will show lt28i in about phone section.